Do you dream of taking that luxury vacation? Perhaps you want to take a trip to some of the most vibrant cities on the planet or escape to a tropical beach ? Do you have a dream holiday in mind but don't know how you are going to make it happen? Do you want a helping hand to manifest your dream holiday and make it real? This album will help you to realize this dream and to make it happen - it will attract your dream vacation into reality. This might seem impossible, but the science is based on a simple concept - that of the law of attraction. The law of the law of attraction is becoming increasingly popular for helping people to focus on their wants and goals and attract these desires into their lives. It's basic rule is that "Whatever you focus on and think about you will manifest and bring into your physical reality". This can be true whether thinking of personal goals, and even to physical objects such as houses, money, or taking a holiday. 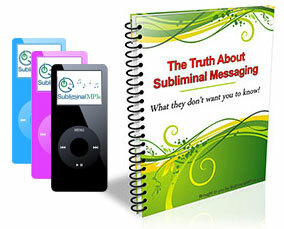 By using subliminal messages you can really boost your manifestation efforts. Subliminal messages are not essential for success with the law of attraction, however if you totally neglect the subconscious element then you will not get the full result you desire. This is because deep within your mind there will be negative thoughts and a general lack of belief that you can manifest something physical into your life with just the power of thought alone. As long as these beliefs exist they will stop you from getting the things you desire most. However, subliminal messages tackle this problem directly - they make sure your subconscious mind is 100% positive and aligned to your conscious attraction goals. They flood your mind with positive subliminal statements to rewire these negative beliefs, and make you much more successful at manifesting your dreams. This subliminal session is completely focused on helping you to manifest one specific goal - your dream holiday! You will first find your mind full of visual images of your ideal holiday. You will start to see yourself more clearly than ever as being in your dream locations. This is the vital first step where your manifestation efforts start to build. Whatever the mind can conceive, the mind can achieve - and your mind will really feel like you are on holiday, like you have made it real. Through this process you'll activate the Law of Attraction and start attracting the opportunities to make it real. You will believe 100% that you're going on holiday - the holiday of your dreams. Because you will now believe it is possible, it really will be possible - you really will be able to manifest your dream holiday into existence! Download these powerful subliminal mp3s today and and bring your dream holiday into your reality. This album is part of our law of attraction subliminal mp3 collection. This album focuses only on rewiring your mind to focus on attracting your dream holiday into reality.